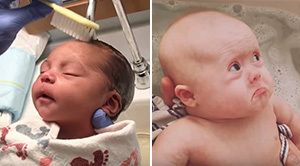 Everyone loves a warm bath, but nothing is more precious than these young ones taking a bath. Warning: Watch at your own risk. This video will give you baby fever.